Along with White Deer Plain which won Best Drama, Best Director and Best Cinematography in the 24th Shanghai Television Festival held on June 15, 2018, The First Half of My Life was also a big winner as it brought home three Magnolia Awards. Ma Yili who played leading lady Luo ZiJun won Best Actress, Xu Di who played Xue ZhenZhu won Best Supporting Actress and Qin Wen won Best Screenplay. 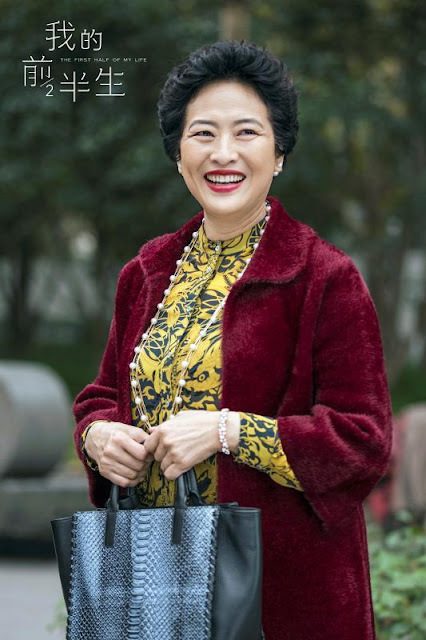 I have not watched the show personally, but Xu Di's performance as the mother precedes her and certainly seems well-deserved. 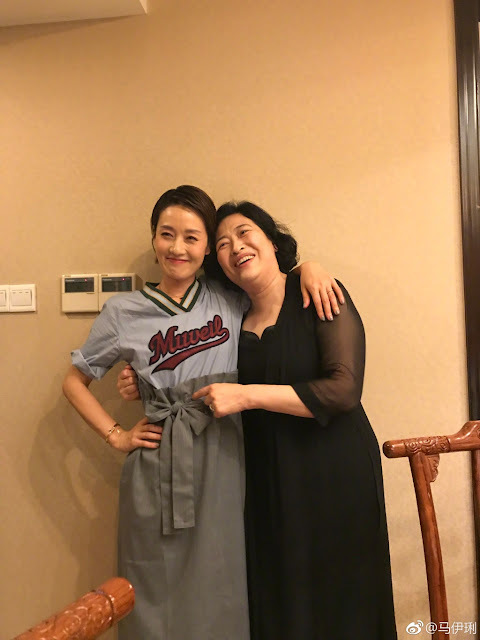 Ma Yili posted a picture of herself with her onscreen mom Xu Di captioned, "Zhen Zhu Ah, Jun Jun is proud of you!" The awards show was not completely devoid of drama as there was some noise over Jin Dong's nomination snub for Best Actor when Lei Jia Yin who played the second lead received a nomination for the category. In fact, many cast members of the show were competing with each other for the same awards. The Best Actor ultimately went to He Bing of Full House while Yu Hewei who played Cao Cao in Advisors Alliance won Best Supporting Actor. I haven't watched it but I would be surprised if Jin Dong deserves a nomination. I know he's popular but doesn't he basically play the same variation of the same character in all his dramas? First Half Of My Life is a a good modern drama that I managed to finish. Great acting from all of the actors and actresses. The actress who played the mother did a great performance. Only JD's fans were "surprised". Everyone else thought the nominations were fair.